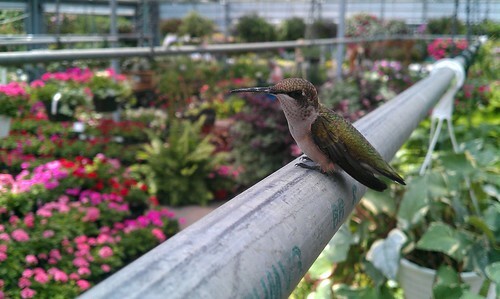 Gardening is for the birds…Hummingbirds that is! We’re still in hummingbird season folks!!! They’re zipping and zooming around my front and back yard as well as the garden center like crazy! Have you seen them? In Virginia we have three species: Ruby-throated, Rufous, and Allen’s. The one I see the most here in Northern Virginia is the Ruby-throated. How do you attract hummingbirds to your garden? Do you have a feeder? Grow various plants that are delicious for them? Me, I do a little of both. 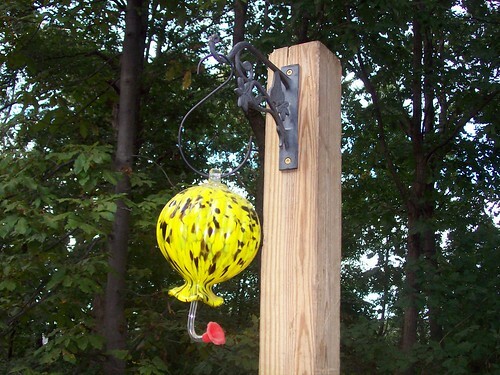 In my feeder, I’ve used a store bought mix or a pre-made solution before, but making your own is fun and easy. Just bring one part sugar to four parts water to a boil, let cool and fill ’em up! You can store any extra solution in the fridge for a week. Above is a shot of one of my hummingbird feeders. Hummingbirds swarm to this plant on the regular! It prefers full to part sun and is drought tolerant. 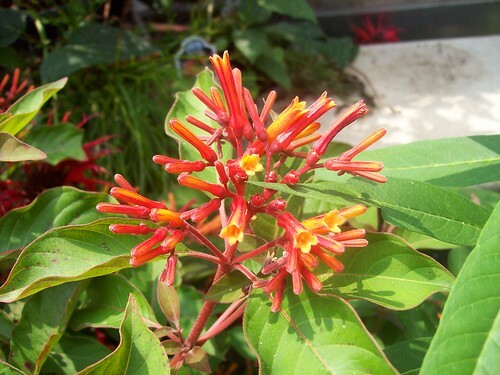 Many varieties of Hamelia are native to Florida, however, I believe this particular one is native to Africa (hence the variety name). 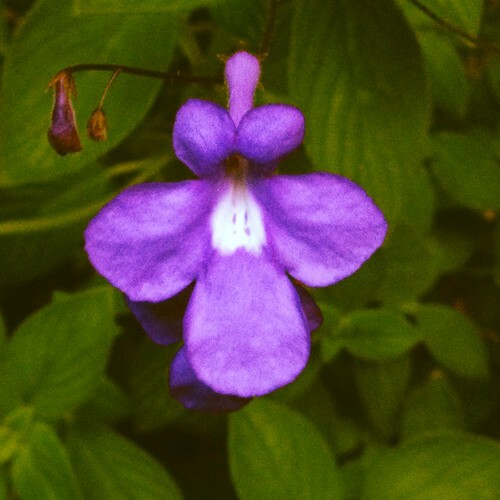 I’m growing this in a pot and bringing it inside this year since it is in no way hardy here in Northern Virginia. 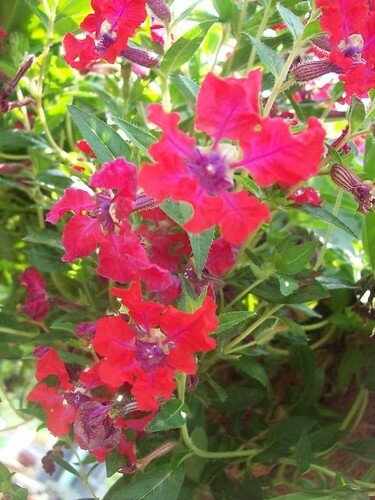 Hummingbirds totally dig Cuphea…all varieties! Cupheas thrive in full sun to part shade. They can tolerate some drought but perform best with regular moisture. Some trail, some are upright and tall…they come in all shapes and sizes so the perfect one is out there for you! This variegated lantana might be my favorite variety. 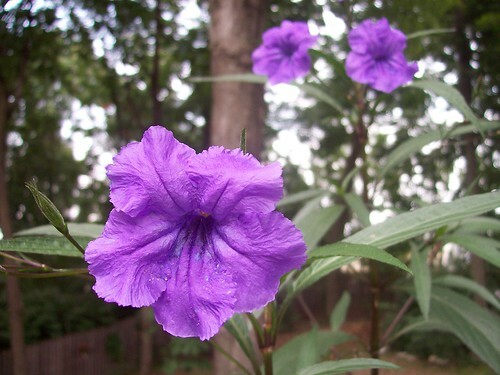 Thrives in full sun and is drought tolerant. 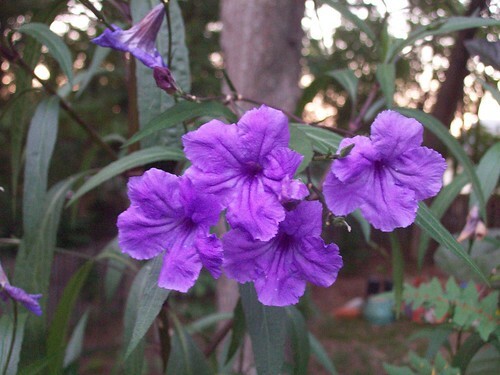 Both hummingbirds and butterflies love this fragrant flower! 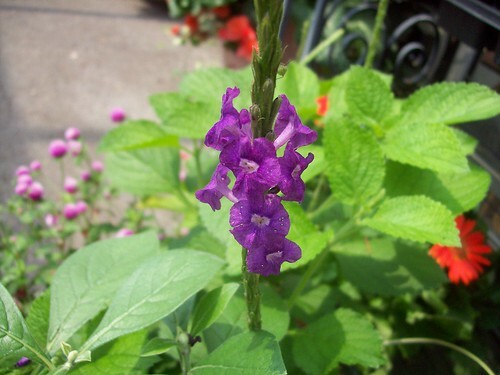 Ok, this tender perennial might be one of my absolute favorite plants ever! (I know I say this a lot, but seriously!!). 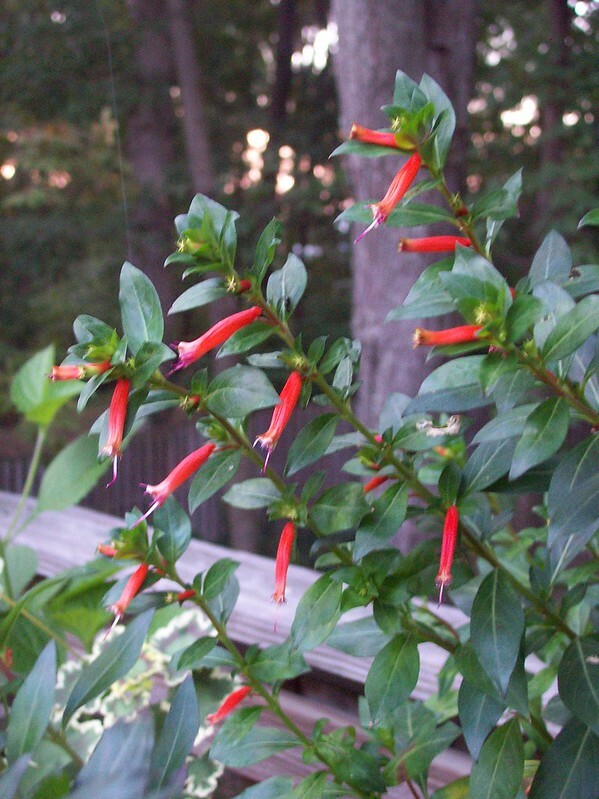 This is the very first plant I ever grew that I saw hummingbirds swarm to…then I was hooked! Another one of my loves! 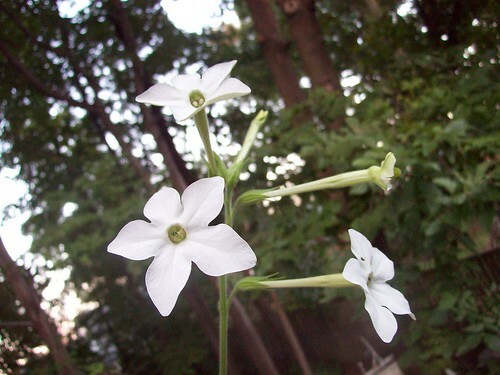 Blooms constantly, but each bloom lasts only for one day. I saw this growing all over Cape Hatteras, N.C. a few weeks ago. 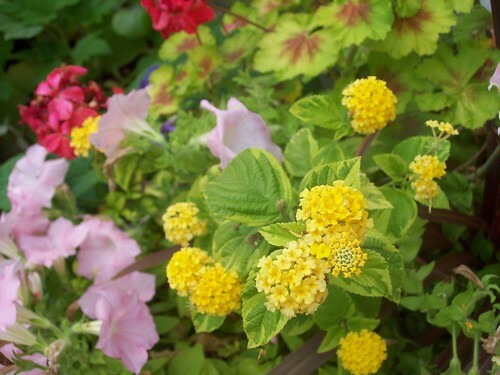 It loves the sun and can tolerate salt and some drought, but can be invasive in warmer climates. 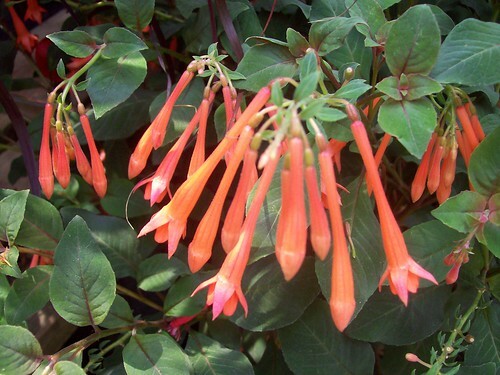 More heat tolerant than most other fuchsia varieties! 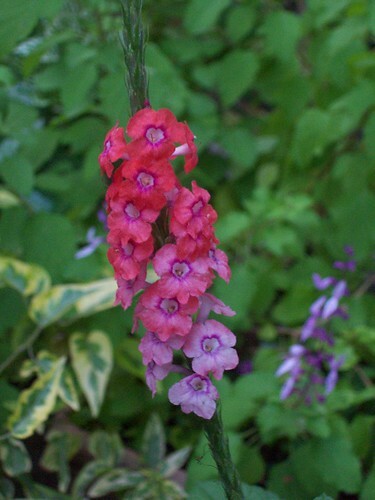 A great hummingbird attracter that grows well in partial shade. This upright grower is perfect for containers!! I absolutely cannot get enough of this plant. I grow it every year in a hanging basket. Perfect for shade/part-shade. I bring it inside for the winter – it makes a great house plant too! This flowering tobacco plant, given to me by a great friend, really did a number for my hummingbirds this year…and for me! 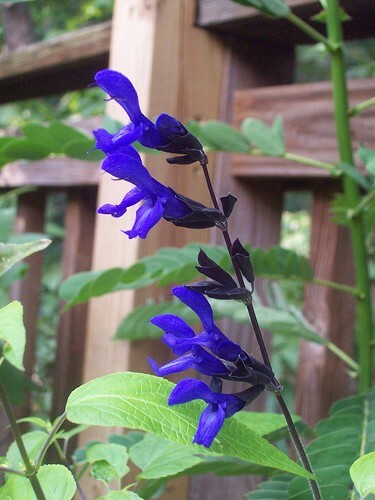 It’s nocturnally fragrant and prefers full sun to part-shade. What a super performer! There are many other great plants that hummingbirds love – these are just some of my favorites that I grew this year. Now I wanna hear about your flowering experiences with our feathered friends!!! Everybody needs a little winter inspiration! Winter Container Gardens…How do you do? Restoring a 1915 farmhouse plus one or two other passions. "Plant Bulbs and Harvest Smiles"
The garden is out there. Grow boldly. I LOVE to cook and I LIVE to garden!